It is quite interesting to envision how we could adopt the Hadoop ecosystem within the realms of DevOps. Hadoop managed by the Apache Foundation is a powerful open-source platform written in java that is capable of processing large amounts of heterogeneous data-sets at scale in a distributive fashion on cluster of computers using simple programming models. It is designed to scale up from single server to thousands of machines, each offering local computation and storage and has become an in-demand technical skill. Hadoop is an Apache top-level project being built and used by a global community of contributors and users. Hadoop has gained its popularity due to its ability of storing, analyzing and accessing large amount of data, quickly and cost effectively through clusters of commodity hardware. It wouldn’t be wrong if we say that Apache Hadoop is actually a collection of several components and not just a single product. With Hadoop Ecosystem there are several commercial along with an open source products which are broadly used to make Hadoop laymen accessible and more usable. MapReduce: Hadoop MapReduce is a software framework for easily writing applications which process big amounts of data in-parallel on large clusters of commodity hardware in a reliable, fault-tolerant manner. In terms of programming, there are two functions which are most common in MapReduce. The Map Task: Master computer or node takes input and convert it into divide it into smaller parts and distribute it on other worker nodes. All worker nodes solve their own small problem and give answer to the master node. The Reduce Task: Master node combines all answers coming from worker node and forms it in some form of output which is answer of our big distributed problem. Generally both the input and the output are reserved in a file-system. The framework is responsible for scheduling tasks, monitoring them and even re-executes the failed tasks. Hadoop Distributed File System (HDFS): HDFS is a distributed file-system that provides high throughput access to data. When data is pushed to HDFS, it automatically splits up into multiple blocks and stores/replicates the data thus ensuring high availability and fault tolerance. Note: A file consists of many blocks (large blocks of 64MB and above). NameNode: It acts as the master of the system. It maintains the name system i.e., directories and files and manages the blocks which are present on the DataNodes. DataNodes: They are the slaves which are deployed on each machine and provide the actual storage. They are responsible for serving read and write requests for the clients. Secondary NameNode: It is responsible for performing periodic checkpoints. In the event of NameNode failure, you can restart the NameNode using the checkpoint. Hive: Hive is part of the Hadoop ecosystem and provides an SQL like interface to Hadoop. It is a data warehouse system for Hadoop that facilitates easy data summarization, ad-hoc queries, and the analysis of large datasets stored in Hadoop compatible file systems. It provides a mechanism to project structure onto this data and query the data using a SQL-like language called HiveQL. Hive also allows traditional map/reduce programmers to plug in their custom map­pers and reducers when it is inconvenient or inefficient to express this logic in HiveQL. Metastore – To store metadata about columns, partition and system catalogue. Query Compiler – To compiles HiveQL into a directed acyclic graph. Execution Engine – To execute the tasks in proper order which are produced by the compiler. 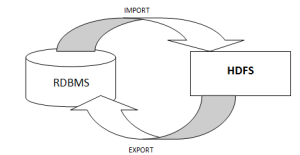 HiveServer – To provide a Thrift interface and a JDBC / ODBC server. HBase (Hadoop DataBase): HBase is a distributed, column oriented database and uses HDFS for the underlying storage. As said earlier, HDFS works on write once and read many times pattern, but this isn’t a case always. We may require real time read/write random access for huge dataset; this is where HBase comes into the picture. HBase is built on top of HDFS and distributed on column-oriented database. HBase Master: It is responsible for negotiating load balancing across all RegionServers and maintains the state of the cluster. It is not part of the actual data storage or retrieval path. RegionServer: It is deployed on each machine and hosts data and processes I/O requests. Zookeeper: ZooKeeper is a centralized service for maintaining configuration information, naming, providing distributed synchronization and providing group services which are very useful for a variety of distributed systems. HBase is not operational without ZooKeeper. Algorithms in the Mahout library belong to the subset that can be executed in a distributed fashion and have been written to be executable in MapReduce. Mahout is scalable along three dimensions: It scales to reasonably large data sets by leveraging algorithm properties or implementing versions based on Apache Hadoop. Sqoop (SQL-to-Hadoop): Sqoop is a tool designed for efficiently transferring structured data from SQL Server and SQL Azure to HDFS and then uses it in MapReduce and Hive jobs. 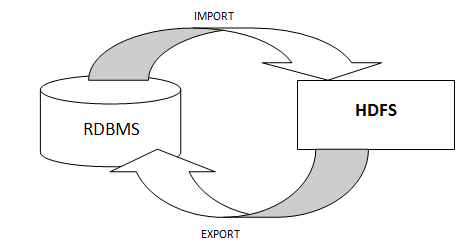 One can even use Sqoop to move data from HDFS to SQL Server. Apache Spark: Apache Spark is a general compute engine that offers fast data analysis on a large scale. Spark is built on HDFS but bypasses MapReduce and instead uses its own data processing framework. Common uses cases for Apache Spark include real-time queries, event stream processing, iterative algorithms, complex operations and machine learning. Pig: Pig is a platform for analyzing and querying huge data sets that consist of a high-level language for expressing data analysis programs, coupled with infrastructure for evaluating these programs. Pig’s built-in operations can make sense of semi-structured data, such as log files, and the language is extensible using Java to add support for custom data types and transformations. The salient property of Pig programs is that their structure is amenable to substantial parallelization, which in turns enables them to handle very large data sets. At the present time, Pig’s infrastructure layer consists of a compiler that produces sequences of MapReduce programs. Oozie: It is a workflow scheduler system to manage hadoop jobs. It is a server-based Workflow Engine specialized in running workflow jobs with actions that run Hadoop MapReduce and Pig jobs. Oozie is implemented as a Java Web-Application that runs in a Java Servlet-Container. Hadoop basically deals with bigdata and when some programmer wants to run many job in a sequential manner like output of job A will be input to Job B and similarly output of job B is input to job C and final output will be output of job C. To automate this sequence we need a workflow and to execute same we need engine for which Oozie is used. Flume: Flume is a framework for harvesting, aggregating and moving huge amounts of log data or text files in and out of Hadoop. Agents are populated throughout ones IT infrastructure inside web servers, application servers and mobile devices. Flume itself has a query processing engine, so it’s easy to transform each new batch of data before it is shuttled to the intended sink. Ambari was created to help manage Hadoop. It offers support for many of the tools in the Hadoop ecosystem including Hive, HBase, Pig, Sqoop and Zookeeper. The tool features a management dashboard that keeps track of cluster health and can help diagnose performance issues. There are many more Ecosystems which you can explore and can use them to solve your bigdata problems. Quantcast File System QFS QFS is an open-source distributed file system software package for large-scale MapReduce or other batch-processing workloads. It was designed as an alternative to Apache Hadoop’s HDFS, intended to deliver better performance and cost-efficiency for large-scale processing clusters. It is written in C++ and has fixed-footprint memory management. QFS uses Reed-Solomon error correction as method for assuring reliable access to data. JAQL JAQL is a functional, declarative programming language designed especially for working with large volumes of structured, semi-structured and unstructured data. As its name implies, a primary use of JAQL is to handle data stored as JSON documents, but JAQL can work on various types of data. For example, it can support XML, comma-separated values (CSV) data and flat files. A “SQL within JAQL” capability lets programmers work with structured SQL data while employing a JSON data model that’s less restrictive than its Structured Query Language counterparts. Specifically, Jaql allows you to select, join, group, and filter data that is stored in HDFS, much like a blend of Pig and Hive. Jaql’s query language was inspired by many programming and query languages, including Lisp, SQL, XQuery, and Pig. Apache Storm Storm is a complex event processor (CEP) and distributed computation framework written predominantly in the Clojure programming language. Is a distributed real-time computation system for processing fast, large streams of data. Storm is an architecture based on master-workers paradigma. So a Storm cluster mainly consists of a master and worker nodes, with coordination done by Zookeeper. Storm makes use of zeromq (0mq, zeromq), an advanced, embeddable networking library. It provides a message queue, but unlike message-oriented middleware (MOM), a 0MQ system can run without a dedicated message broker. The library is designed to have a familiar socket-style API. Originally created by Nathan Marz and team at BackType, the project was open sourced after being acquired by Twitter. Storm was initially developed and deployed at BackType in 2011. After 7 months of development BackType was acquired by Twitter in July 2011. Storm was open sourced in September 2011. Hortonworks is developing a Storm-on-YARN version and plans finish the base-level integration in 2013 Q4. This is the plan from Hortonworks. Yahoo/Hortonworks also plans to move Storm-on-YARN code from github.com/yahoo/storm-yarn to be a subproject of Apache Storm project in the near future. Apache Flink Apache Flink (formerly called Stratosphere) features powerful programming abstractions in Java and Scala, a high-performance runtime, and automatic program optimization. It has native support for iterations, incremental iterations, and programs consisting of large DAGs of operations. Apache Apex Apache Apex is an enterprise grade Apache YARN based big data-in-motion platform that unifies stream processing as well as batch processing. It processes big data in-motion in a highly scalable, highly performant, fault tolerant, stateful, secure, distributed, and an easily operable way. It provides a simple API that enables users to write or re-use generic Java code, thereby lowering the expertise needed to write big data applications. The Apache Apex platform is supplemented by Apache Apex-Malhar, which is a library of operators that implement common business logic functions needed by customers who want to quickly develop applications. These operators provide access to HDFS, S3, NFS, FTP, and other file systems; Kafka, ActiveMQ, RabbitMQ, JMS, and other message systems; MySql, Cassandra, MongoDB, Redis, HBase, CouchDB and other databases along with JDBC connectors. The library also includes a host of other common business logic patterns that help users to significantly reduce the time it takes to go into production. Ease of integration with all other big data technologies is one of the primary missions of Apache Apex-Malhar. Hypertable Database system inspired by publications on the design of Google’s BigTable. The project is based on experience of engineers who were solving large-scale data-intensive tasks for many years. Hypertable runs on top of a distributed file system such as the Apache Hadoop DFS, GlusterFS, or the Kosmos File System (KFS). It is written almost entirely in C++. Sposored by Baidu the Chinese search engine. Distributed, columnar, relational data store optimized for analytical use cases requiring very fast reads with competitive write speeds. ·Relational data model (tables) with strongly-typed columns and a fast, online alter table operation. ·Scale-out and sharded with support for partitioning based on key ranges and/or hashing. ·Fault-tolerant and consistent due to its implementation of Raft consensus. ·Supported by Apache Impala and Apache Drill, enabling fast SQL reads and writes through those systems. ·Integrates with MapReduce and Spark. ·Additionally provides “NoSQL” APIs in Java, Python, and C++. Apache HCatalog HCatalog’s table abstraction presents users with a relational view of data in the Hadoop Distributed File System (HDFS) and ensures that users need not worry about where or in what format their data is stored. Right now HCatalog is part of Hive. Only old versions are separated for download. Datasalt Splout SQL Splout allows serving an arbitrarily big dataset with high QPS rates and at the same time provides full SQL query syntax. Facebook Scribe Log agregator in real-time. It’s a Apache Thrift Service. Apache Chukwa Large scale log aggregator, and analytics. Netflix Suro Suro has its roots in Apache Chukwa, which was initially adopted by Netflix. Is a log agregattor like Storm, Samza. Apache Samza Apache Samza is a distributed stream processing framework. It uses Apache Kafka for messaging, and Apache Hadoop YARN to provide fault tolerance, processor isolation, security, and resource management. Developed by http://www.linkedin.com/in/jaykreps Linkedin. Cloudera Morphline Cloudera Morphlines is a new open source framework that reduces the time and skills necessary to integrate, build, and change Hadoop processing applications that extract, transform, and load data into Apache Solr, Apache HBase, HDFS, enterprise data warehouses, or analytic online dashboards. Apache Curator Curator is a set of Java libraries that make using Apache ZooKeeper much easier. Apache karaf Apache Karaf is an OSGi runtime that runs on top of any OSGi framework and provides you a set of services, a powerful provisioning concept, an extensible shell and more. Linkedin Azkaban Hadoop workflow management. A batch job scheduler can be seen as a combination of the cron and make Unix utilities combined with a friendly UI. Apache Falcon Apache Falcon is a data management framework for simplifying data lifecycle management and processing pipelines on Apache Hadoop. It enables users to configure, manage and orchestrate data motion, pipeline processing, disaster recovery, and data retention workflows. Instead of hard-coding complex data lifecycle capabilities, Hadoop applications can now rely on the well-tested Apache Falcon framework for these functions. Falcon’s simplification of data management is quite useful to anyone building apps on Hadoop. Data Management on Hadoop encompasses data motion, process orchestration, lifecycle management, data discovery, etc. among other concerns that are beyond ETL. Falcon is a new data processing and management platform for Hadoop that solves this problem and creates additional opportunities by building on existing components within the Hadoop ecosystem (ex. Apache Oozie, Apache Hadoop DistCp etc.) without reinventing the wheel. Apache Mahout Machine learning library and math library, on top of MapReduce. H2O H2O is a statistical, machine learning and math runtime tool for bigdata analysis. Developed by the predictive analytics company H2O.ai, H2O has established a leadership in the ML scene together with R and Databricks’ Spark. According to the team, H2O is the world’s fastest in-memory platform for machine learning and predictive analytics on big data. It is designed to help users scale machine learning, math, and statistics over large datasets. Sparkling Water combines two open source technologies: Apache Spark and H2O – a machine learning engine. It makes H2O’s library of Advanced Algorithms including Deep Learning, GLM, GBM, KMeans, PCA, and Random Forest accessible from Spark workflows. Spark users are provided with the options to select the best features from either platforms to meet their Machine Learning needs. Users can combine Sparks’ RDD API and Spark MLLib with H2O’s machine learning algorithms, or use H2O independent of Spark in the model building process and post-process the results in Spark. Sparkling Water provides a transparent integration of H2O’s framework and data structures into Spark’s RDD-based environment by sharing the same execution space as well as providing a RDD-like API for H2O data structures. Apache Whirr Apache Whirr is a set of libraries for running cloud services. It allows you to use simple commands to boot clusters of distributed systems for testing and experimentation. Apache Whirr makes booting clusters easy. Marathon Marathon is a Mesos framework for long-running services. Given that you have Mesos running as the kernel for your datacenter, Marathon is the init or upstart daemon. Hortonworks HOYA HOYA is defined as “running HBase On YARN”. The Hoya tool is a Java tool, and is currently CLI driven. It takes in a cluster specification – in terms of the number of regionservers, the location of HBASE_HOME, the ZooKeeper quorum hosts, the configuration that the new HBase cluster instance should use and so on. Apache Bigtop Bigtop was originally developed and released as an open source packaging infrastructure by Cloudera. BigTop is used for some vendors to build their own distributions based on Apache Hadoop (CDH, Pivotal HD, Intel’s distribution), however Apache Bigtop does many more tasks, like continuous integration testing (with Jenkins, maven, …) and is useful for packaging (RPM and DEB), deployment with Puppet, and so on. BigTop also features vagrant recipes for spinning up “n-node” hadoop clusters, and the bigpetstore blueprint application which demonstrates construction of a full stack hadoop app with ETL, machine learning, and dataset generation. Apache Bigtop could be considered as a community effort with a main focus: put all bits of the Hadoop ecosystem as a whole, rather than individual projects. 1. Apache Bigtop. Buildoop Buildoop is an open source project licensed under Apache License 2.0, based on Apache BigTop idea. Buildoop is a collaboration project that provides templates and tools to help you create custom Linux-based systems based on Hadoop ecosystem. The project is built from scrach using Groovy language, and is not based on a mixture of tools like BigTop does (Makefile, Gradle, Groovy, Maven), probably is easier to programming than BigTop, and the desing is focused in the basic ideas behind the buildroot Yocto Project. The project is in early stages of development right now. 1. Hadoop Ecosystem Builder. Deploop Deploop is a tool for provisioning, managing and monitoring Apache Hadoop clusters focused in the Lambda Architecture. LA is a generic design based on the concepts of Twitter engineer Nathan Marz. This generic architecture was designed addressing common requirements for big data. The Deploop system is in ongoing development, in alpha phases of maturity. The system is setup on top of highly scalable techologies like Puppet and MCollective. 1. The Hadoop Deploy System. Jumbune Jumbune is an open source product that sits on top of any Hadoop distribution and assists in development and administration of MapReduce solutions. The objective of the product is to assist analytical solution providers to port fault free applications on production Hadoop environments. Jumbune supports all active major branches of Apache Hadoop namely 1.x, 2.x, 0.23.x and commercial MapR, HDP 2.x and CDH 5.x distributions of Hadoop. It has the ability to work well with both Yarn and non-Yarn versions of Hadoop.